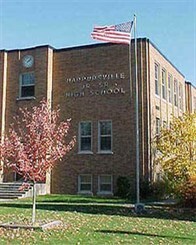 Harpursville Central School District is located in the Village of Harpursville, approximately 20 minutes from Binghamton in the Southern Tier of New York state. The district consists of one elementary school serving students in pre-k through grade 6 and one junior/senior high school for grades 7-12. With approximately 780 students and 160 employees, the district offers a small-town learning environment emphasizing individualized attention and high expectations. The district is governed by a Board of Education comprised of seven elected community members. District Superintendent Michael J. Rullo and a dedicated team of professionals and support staff work hard to identify and address the educational needs of all students.